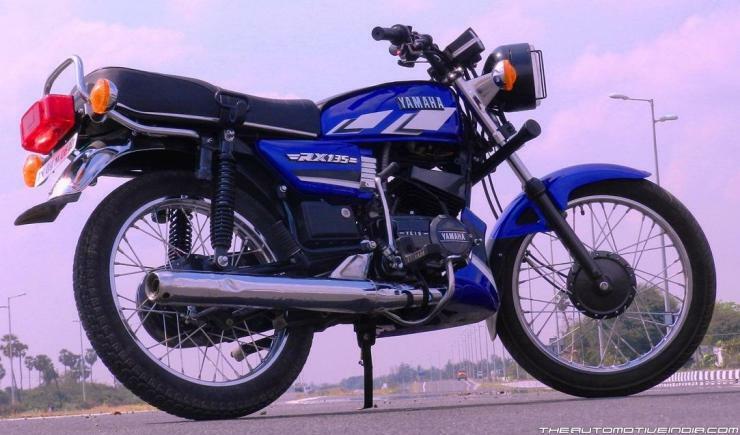 The RX 100 is a bike that’s been getting extremely popular with each passing day. There have been good bikes in our country, there are some very good bikes out there but never has there been a bike like the RX 100. As with everything that gains fame and has a cult following, this bike too has many interesting facts and rumours associated with it. Let’s take a look at some of them. 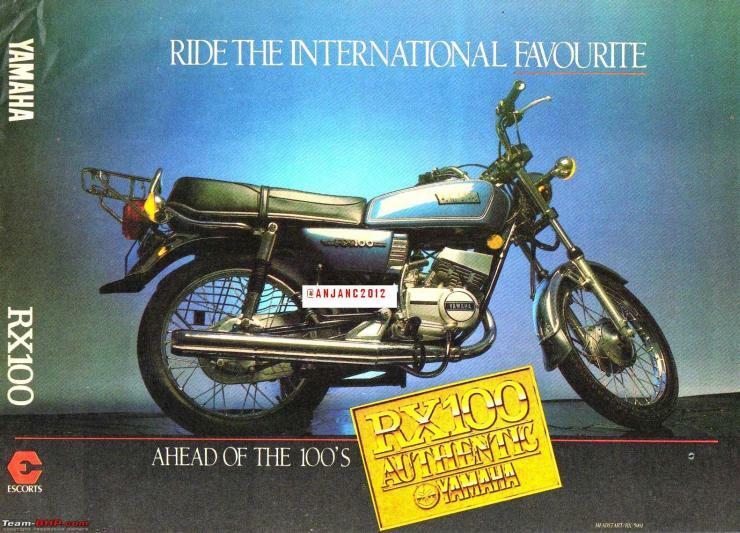 The RX 100 was a successor to the very capable Yamaha RD 350. Dismal sales and lack of interest among general public forced Yamaha to rethink their strategy and launch a cheaper bike to meet the needs of the Indian customer. Hence, it was born out of a failure that resulted in an unmatched success. People just could not believe how powerful this pint-sized rocket was. Also, at that time, rumours were rife that it had a bigger engine than what is being marketed. There have been cases of the engine block being opened and checked by race authorities and conductors to make sure it was a 100-cc engine. The RX 100 had a nimble body and accelerated like a rocket, hence the name pocket rocket. It had a 98-cc, single cylinder two-stroke air cooled engine which produced 11 bhp of power and 10.39 Nm of torque. This coupled with a mere weight of 98 kg made sure that the bike didn’t just run but rather flew over the streets. Owing to its light weight and good power to weight ratio, the bike accelerated like a charm. This incidentally made it a popular choice among chain snatchers and other criminals who needed a quick and economical getaway vehicle after a crime. So before black Pulsars became the rage among chain snatchers, RX was the king, albeit not in a positive way in this case. Ask any RX 100 owner and he will tell you this is not a bike to be ridden at high speeds for a long time. The reason is that the light frame allowed for good acceleration but also made the bike rather unstable and shaky at high speeds. Actually the thrill about riding an RX was in the fact that how well it handled and how very fast it accelerated, rather than its top-speed runs. 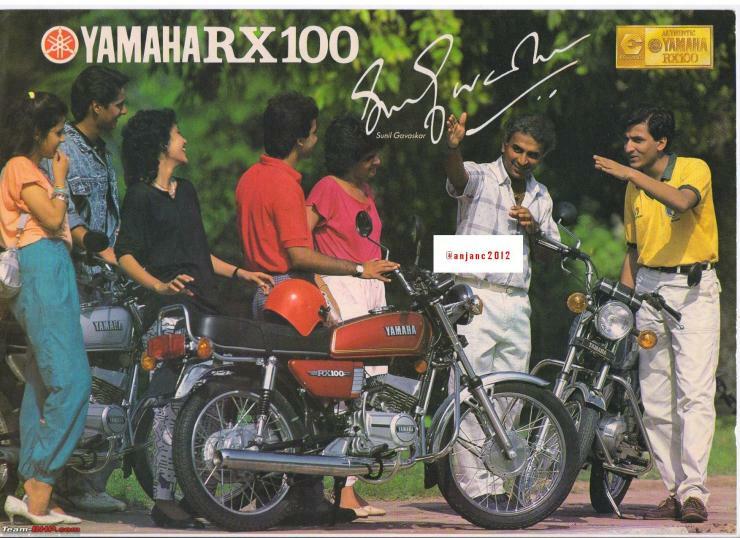 Production of RX 100 was officially halted by March 1996. Next came the 132-cc RXG, which was riddled with problems and malfunctions throughout its short lifetime. This was followed by a somewhat better RX 135, which actually was a revamped RXG. Many iterations of RX 135 followed but none could ever match the success of the RX 100. 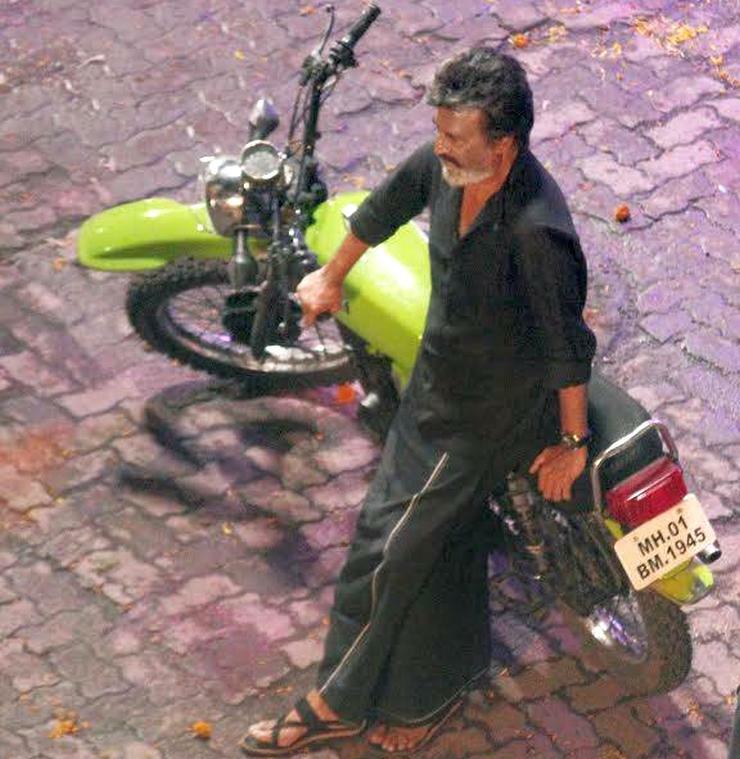 The Indian film industry, especially the south Indian movie industry, loved the bike. Many south Indian movies had heroes making an on-screen entry riding RX 100s. Even in Bollywood it was a popular choice and even if the hero was not riding it, his sidekicks were on the saddle of the beloved bike. Even now the name reeks of masculinity the same way it did in the 80s and 90s, so much so that a recent Telugu movie was named RX 100 to add character to the lead role. It sounded rogue, picked-up speed like a forest catches fire and made its riders look attractive and carefree. Every adolescent or grown-up guy wanted to ride this bike. It was a symbol of masculinity and being free-spirited, and hence became an evergreen icon. 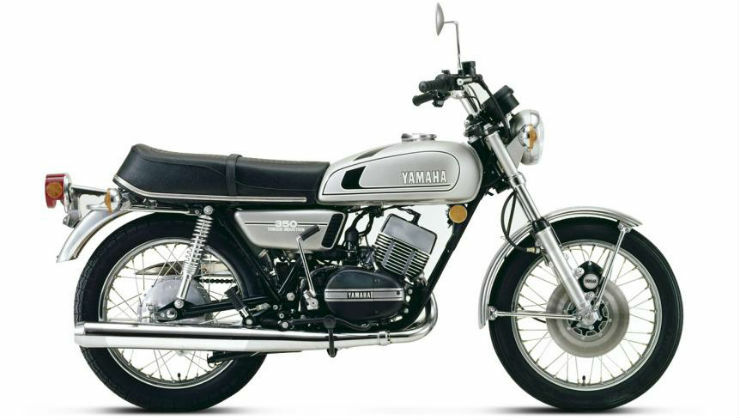 Even during its time, the Yamaha bike was retailing at a price of about Rs. 19,764, which was not cheap in those times. Converted into today’s price, the bike would cost something on the upper side of Rs. 60,000. This was higher than the competition but then again, the bike was way better than any 100-cc bike available at that time, such as the HH CD 100. Initially it came in three colour choices, Cherry Red, Peacock Blue and Black, followed by other shades later. Many people still dream of owning a RX 100 and riding it like there’s no tomorrow. The bike has a dedicated cult following and a good mechanic can still do wonders for the bike. One can get it under Rs. 50,000. 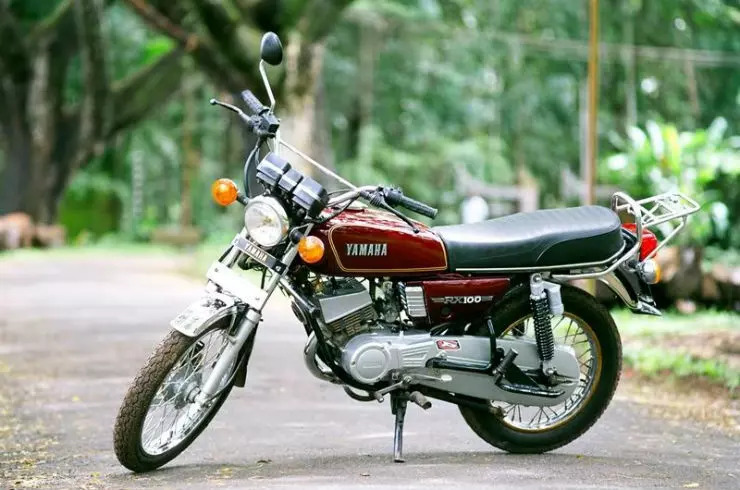 However as of now, well-maintained pieces are rare and even if a stock well-maintained RX 100 comes to the market, it fetches a handsome price, up to even Rs. 1 lakh, in some cases. We think t’s worth the extra effort and price though.